Teosyal PureSense Global Action is recommended to treat moderate wrinkles, cutaneous depressions, mild or moderate nasolabial folds, as well as perioral and glabella wrinkles in the mid dermis. Contains lidocaine, a powerful anaesthetic for comfort injection. The TEOXANE products are products of wrinkle fillers based on hyaluronic acid 100% absorbable and non-animal origin. Hyaluronic acid retains moisture and can be used on the entire face, neck and neck. 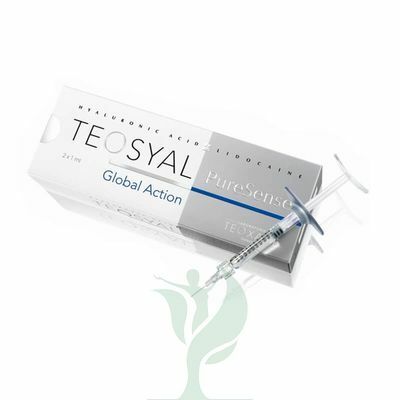 In TEOSYAL ® PureSense range Laboratories Teoxane have linked hyaluronic acid lidocaine, a powerful anesthetic for comfort injection. TEOXANE are wrinkle-filling products containing 100% non-animal origin, resorbable hyaluronic acid. Hyaluronic acid maintains hydration and can be used all over the face, neck and neckline. In synergy with hyaluronic acid injections and to prolong their effects, Teoxane Laboratories also offers a line of cosmetics containing hyaluronic acid microspheres, which settle at the bottom of wrinkles to fill them effectively. 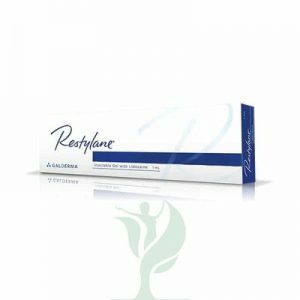 Treatment for filling linear facial wrinkles and skin breaks, such as slightTEOSYAL® is an exclusive range of injectable hyaluronic acid-based wrinkle-filling products. TEOSYAL® is 100% hyaluronic acid-based. It is a biodegradable, resorbable product of non-animal origin. With the TEOSYAL® range, it is possible to redefine and redesign the lines and contours of your face as gently and naturally as possible. or moderately marked nasolabial folds, lines around the mouth and lines between the eyebrows.